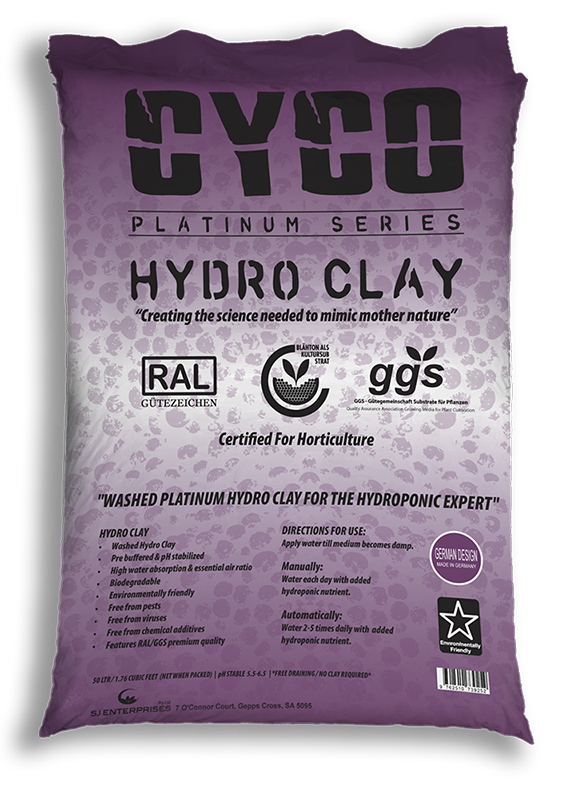 Cyco Hydro Clay is certified as a growing media through the RAL “Quality Assurance Association” therefore it is a substrate approved and used for Plant Cultivation. 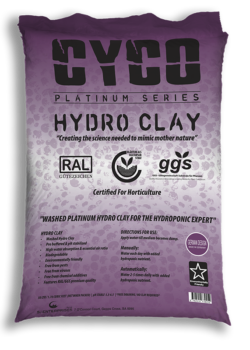 Cyco Hydro Clay is tested monthly by RAL and GGS to ensure the highest quality clay is produced. Can be used as a top dressing for plants to reduce evaporative losses, reduce algae, fungus gnats and unwanted weeds. Can be used as a bottom drainage layer or full pot medium for potted plants, to provide adequate run off and maintain ideal rhizopheric root conditions and also increasing the physical stability of plants. Can be used as a top dressing for plants to reduce evaporative losses, reduce algae, fungus gnats and unwanted weeds. Apply water till medium becomes damp. Water each day with added hydroponic nutrient. Water 2-5 times daily with added hydroponic nutrient.